NGC 7000. 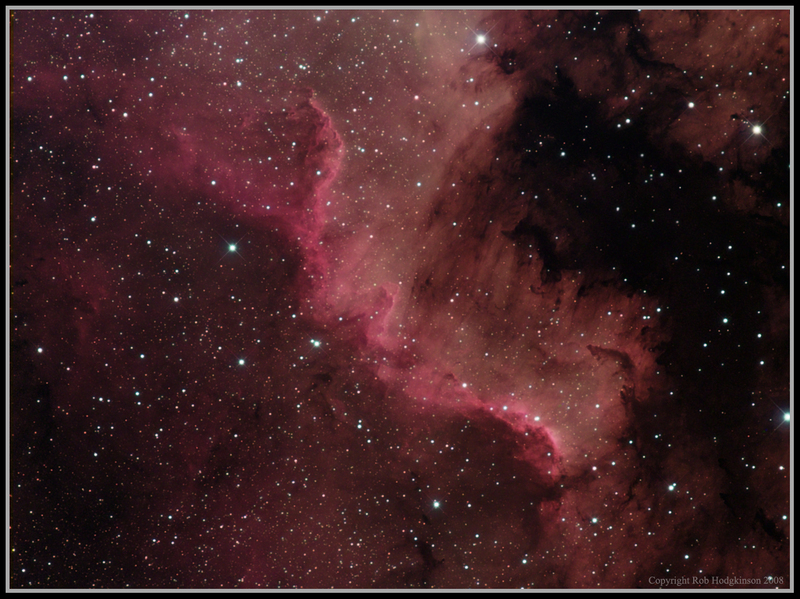 The North America Nebula. .apt I suppose considering the subject! ..at least it was warm! .wonder if they have good Tequila there too??? Ha used as a luminance layer.